Before Roswell there was Aztec - a report of a crashed flying saucer where the wreckage and alien bodies were seized by the US military. But what is the truth? Experienced researcher and author Richard Thomas takes a new look at the controversial Aztec UFO Crash incident. Everyone, both UFO believers and agnostics, have heard about the Roswell incident, the alleged recovery of a “flying disk” in the New Mexico desert by the US government in July 1947. Roswell has become a household name around the world and today the small town in the south western United States is synonymous with UFO wreckage, government cover-ups and alien autopsies. So important has the Roswell crash become that it is often overlooked that the Roswell incident was not actually the first crashed saucer story to enter the public consciousness. That distinction belongs to another alleged UFO incident in the New Mexico desert, this time in 1948, the year after the Roswell incident, near the town of Aztec. 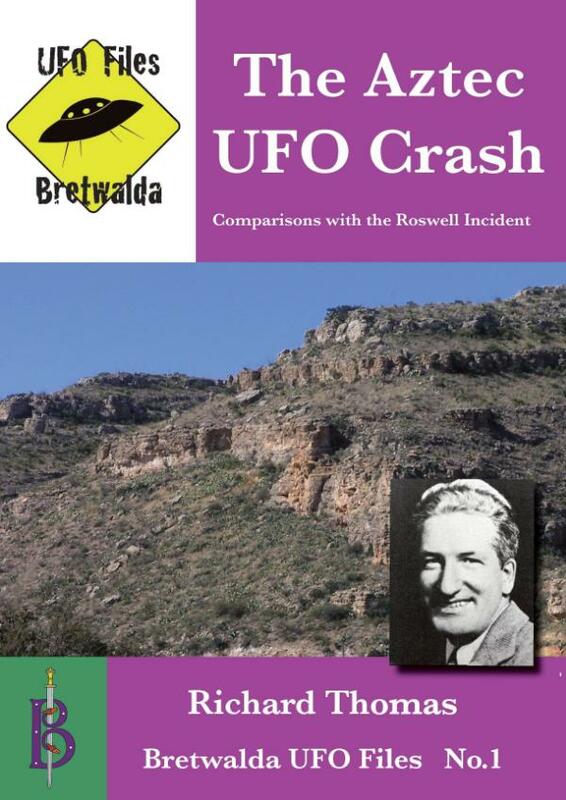 First investigated by celebrity gossip columnist Frank Scully, the Aztec crash was one of three such crashes mentioned in Scully’s 1950 book Behind the Flying Saucers. In the book Scully revealed his sources to be a man called Silas Newton and a scientist named “Dr. Gee”, who supposedly had “more degrees than a thermometer”. According to these two sources, the flying saucers supposedly worked on magnetic principles. Although Scully’s flying saucer book sold very well, selling 60,000 hardcover copies in 1950, the book was seemingly debunked in two well researched articles by San Francisco Chronicle reporter J. P. Cahn published in True magazine in 1952 and 1956. Now it is time to revisit the evidence and seek to uncover the truth. Chapter 2 - Another Saucer Crash in New Mexico?